Together with the Celiac Program at Harvard Medical School, we are busy planning the second collaboative symposium. Medical Myths and Milestones will take place on Saturday April 1st from 8:00 a.m. to 4:00 p.m. Registration for Medical Myths and Milestones is open; register now to take advantage of Early Bird pricing! Hope to see you there! This full day event will be held on Saturday April 1st at Four Points by Sheraton in Norwood, MA. It will include gluten-free breakfast and lunch. Vendors will be present. 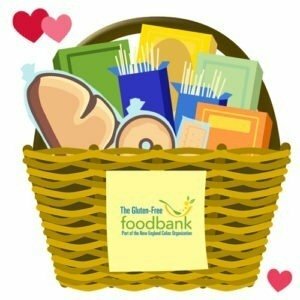 This Valentine’s Day, spread the Gluten-Free love and donate to the Gluten-Free Foodbank. 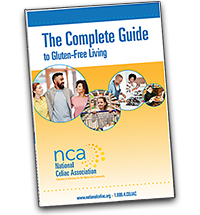 Did you know that the Gluten-Free Foodbank (formerly Pierce’s Pantry) is now part of National Celiac Association? Your donation will support financially vulnerable individuals and households who have a medical need for gluten-free food. * The Westborough Monthly Group meeeting is cancelled on February 9 due to weather. This group is meeting at the Westborough Ted’s Montana Grille for their March meeting on March 9, 2017. 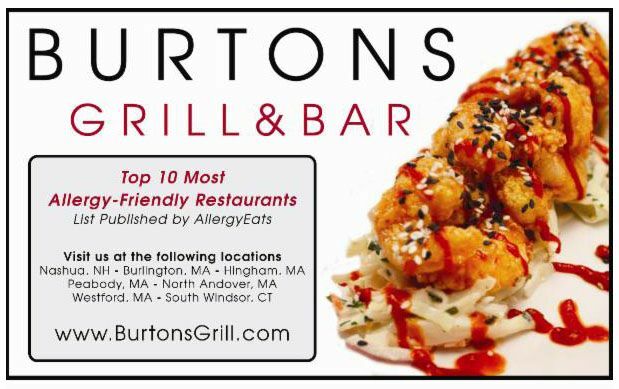 The address for Ted’s Montana Grill is: 400 Union Street, Westborough, MA. The meeting will start at 6:30PM. Anyone interested in joining needs to RSVP to Mary at 215-859-8637 or by email. Finz Seafood and Grill in Salem, MA is hosting a completely GF dinner featuring Gillian’s Foods products and Bantam Cider beverages on Thursday February 9. Click here for more information and to register. 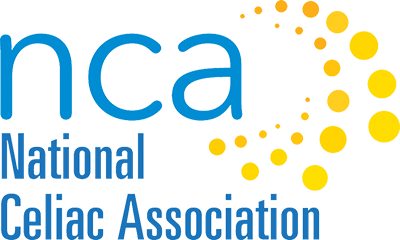 The NCA Advisory Board will meet on Monday February 13 at 7:30pm. Contact Lee if you would like to attend or would like more information about what happens during these insightful and spirited evening meetings. Jennifer Lee’s Bakery is holding a cookie decorating class on Saturday February 11. Click here for more information and to register. Register through Newton Community Ed for Gluten-Free Baking for Beginners or Easy as Pie, gluten-free cooking class taught by Sharon Wanunu. 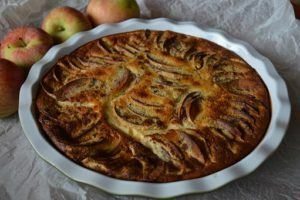 The Baking for Beginners class will take place on Wednesday March 1 and Easy as Pie will meet on Wednesday March 8. Both classes run from 10 am to 1 pm. 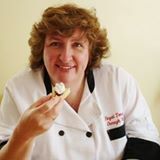 Join Chef Oonagh for a 6 hour demystify gluten-free baking class at Southern Maine Community College in Portland Maine on Monday March 27 from 9 am to 3 pm. Overnight accommodations are available on campus at the Sea Point Inn. 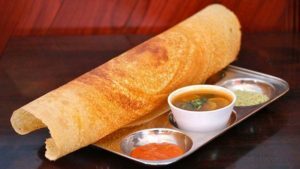 The day will start with gluten-free pastries and participants will make gluten- free pizza to go with soup and salad for lunch. The all day event will include lectures, demonstrations and hands on activities. More details will be available on Gluten-Free Cooking with Oonagh’s page once Southern Maine Community College has posted them. The University of Chicago Celiac Disease Center latest IMPACT newsletter features an article titled Extra-Intestinal Manifestations of Celiac Disease. This Allergic Living article is titled When Celiac Disease is Not All in the Gut. 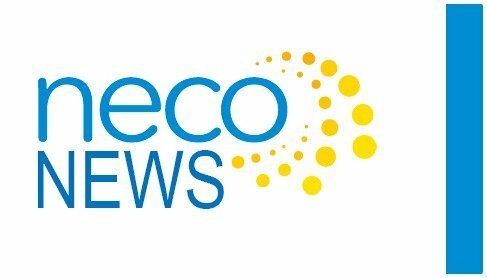 A Food Business News article is titled More People Without Celiac Disease are Going Gluten-Free. Read Gluten-Free Watchdog Tricia Thompson’s thoughts on Nima, a portable gluten sensor here. She used it to test mustard prior to writing this. Tricia Thompson has also posted an Updated Position Statement on Oats. The Patient Celiac wrote a poignant article titled The day I forgot to be my own celiac advocate. Cornell University’s Risley Hall has recently reopened as a completely gluten-free dining hall. Read about it here. 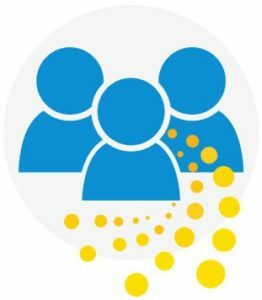 Celiac Disease Foundation is running a webinar on February 24 at 12 noon Eastern Time. 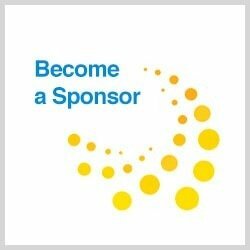 The title of this webinar is How to Become a Celiac Disease Patient Advocate. Click here for more information or to pre-register. Click here to watch Chef Oonagh make Quinoa and Vegetable Stir Fry. The Celiac Project has some new podcasts covering a variety of relevant topics. A member recommends Pure Organic Cafe in Rye, NY for anybody traveling to the Westchester area. 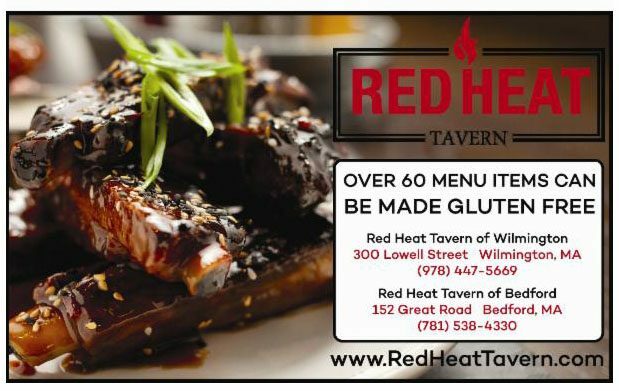 A member dined at Red Heat Tavern recently and was impressed by both the service and the menu. The restaurant does not use any all purpose flour and everything on the menu except the pretzel appetizer is or can be made gluten-free. 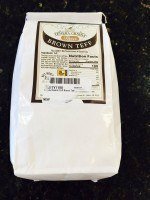 Gluten-Free Watchdog Tricia Thompson recently released her test results of Tenera Grains Brown Teff Flour, which is labeled gluten-free. She found that it tested above 20 ppm, and the manufacturer traced the problem to a shared milling facility. 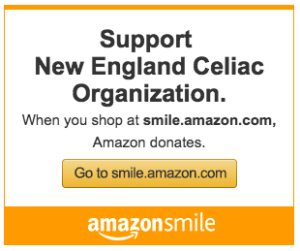 Until they find a new miller, they do not recommend celiacs use this product. Kettle Cuisine Soups has recalled 24 oz containers of Chicken Soup with a use by date of 2/17/17. 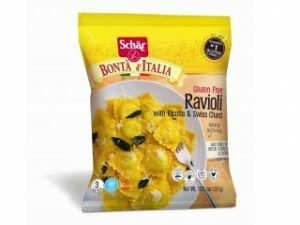 The recalled soup was labeled Chicken Soup but actually contains Italian Wedding Soup, which contains eggs, milk and wheat not listed on the label. 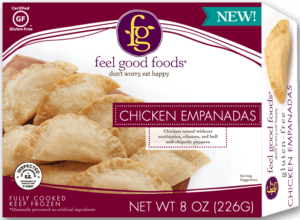 Feel Good Foods, makers of GF dumplings and egg rolls, has a new line of frozen empanadas. Available in Beef, Chicken or Vegetable flavors, they are inspired by Latin cuisine. This limited edition Love Grown chocolate and strawberry cereal is available now. 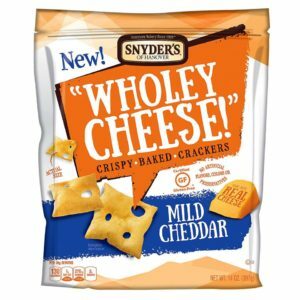 Snyders of Hanover has new “Wholey Cheese” crackers available in Mild Cheddar and Smoked Gouda flavors. 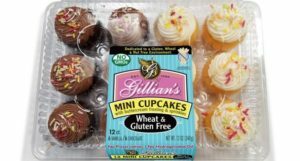 Gillian’s Foods has a new product: mini cupcakes! 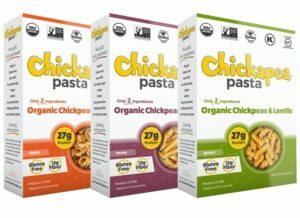 Chickapea Pasta contains just two ingredients – chickpeas and lentils. Read about it here. Cooking Light magazine has a legume-based pasta primer with reviews and tips. 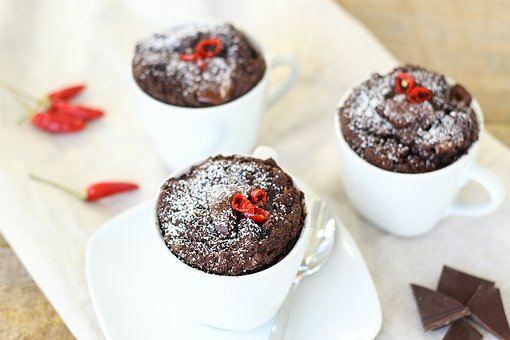 Looking for a special dessert? This is heaven on a plate. Rich, gooey, and delicious. Doubles easily. Congratulations to Mary from Grafton, MA, who won the January giveaway, a copy of Gluten-Free Quick and Easy by Carol Fenster, PhD. 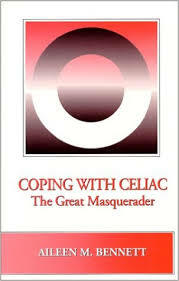 This month, you can win a copy of Coping With Celiac by Aileen Bennett. To enter, simply send us an email with your name and mailing address by February 17.